From my point of view a puffer jacket is a perfect piece of clothes for winter days. 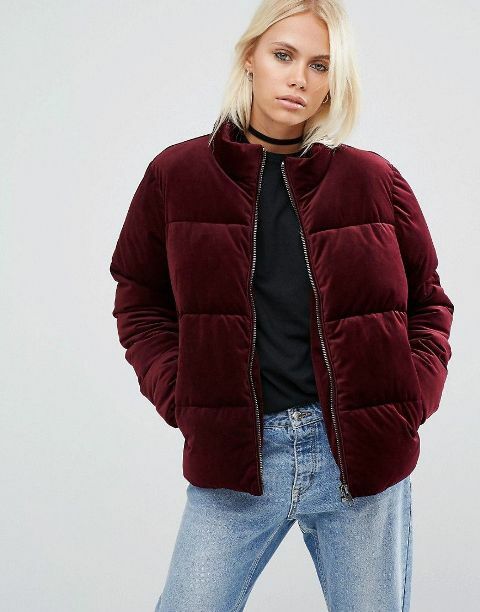 It is comfy-to-wear and very easy-to-combine, so you can create many various outfits with one puffer jacket. 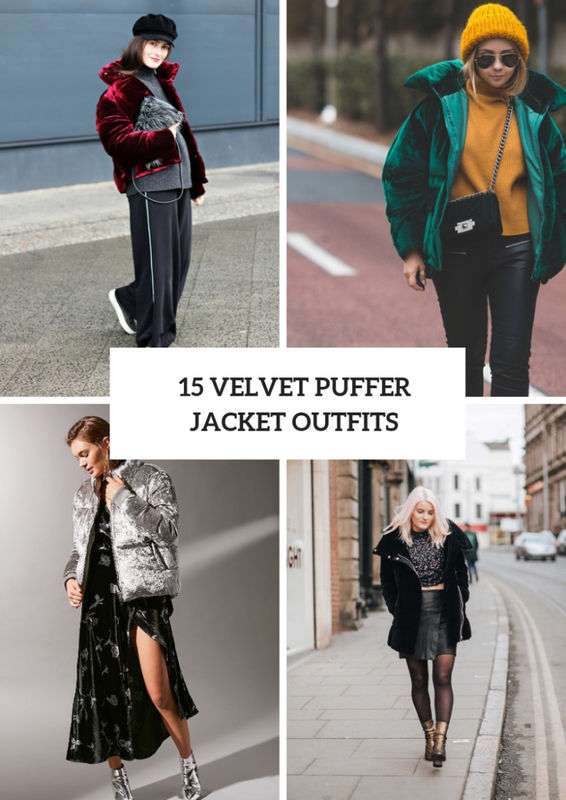 But today I want to show you some cool and unique velvet puffer jackets and share with you ways how you can mix them with other pieces of clothes, accessories and shoes. First of all, you nee to pick up a type of jacket from an oversized to crop, from a jacket with a hood to decorated one. 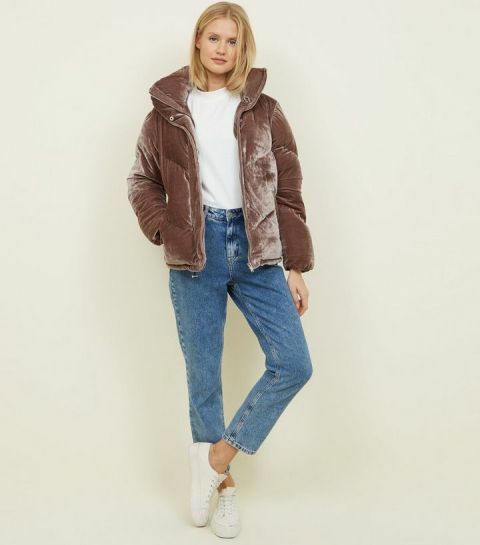 Secondly, think about colors for your new item, so, for example, you can choose an elegant emerald, marsala, navy blue or beige puffer jacket or try something eye-catching such as a hot or pale pink, cobalt blue or silver one. Now you should scroll down to consider all ideas that we have collected just for you. 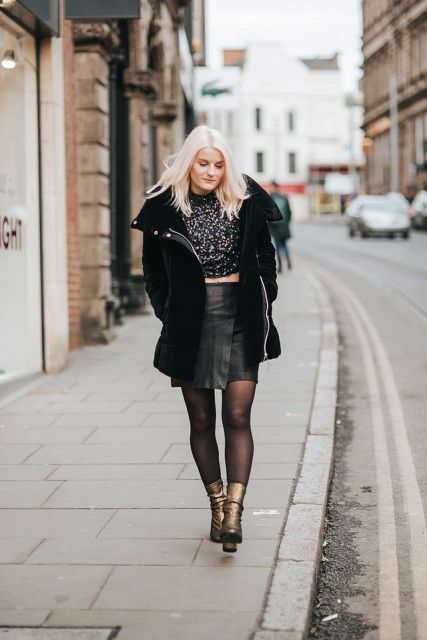 If you want to create a relaxed outfit, then you can take a gray loose sweater and combine it with a black cap, a marsala velvet puffer jacket, a faux fur clutch, wide leg pants and gray slip on shoes. Or you can mix a yellow sweater with black leather skinny pants, a yellow hat, an emerald velvet chain strap bag, sunglasses and a green velvet jacket. For more elegant and chic look you can take a black velvet top and pair it with black velvet trousers, navy blue pumps, a navy blue jacket and a marsala leather clutch. 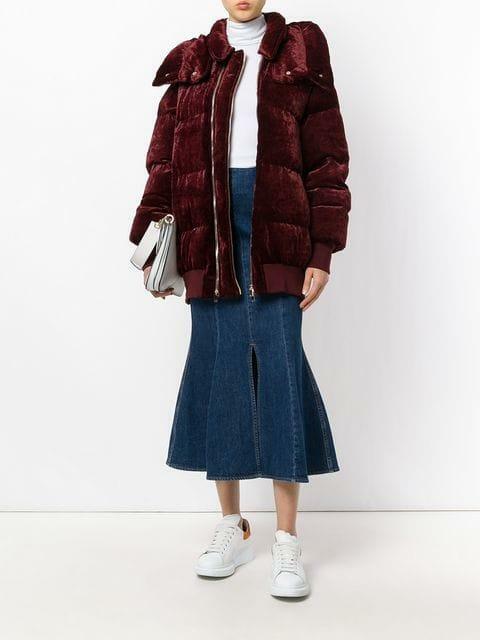 For creating an everyday look you can try to repeat a combination with a white turtleneck, a denim midi skirt, white sneakers, a marsala velvet puffer long jacket and a white leather clutch. If you want to make a more feminine outfit, you can pair a printed maxi dress with a silver velvet jacket and silver ankle boots.